Slippers are the shoes that we all love, comfy, fluffy and practical, a pair of well-made house slippers are all we want for lazy days in the house or after a day of work when we return home with the only thought of relaxing. 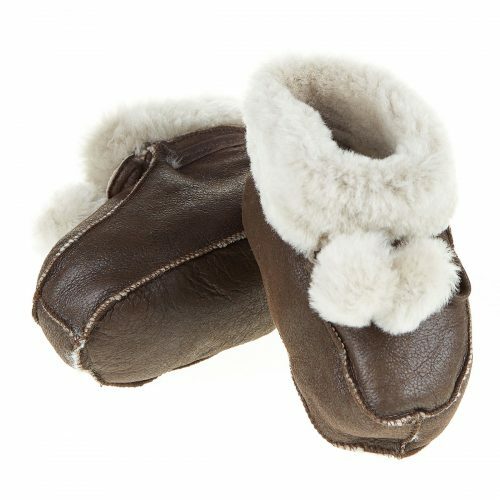 Leather and natural fur are the most suitable materials for making slippers because it gives a very pleasant feeling to the touch, are durable and easy to clean and maintain optimal temperature for our feet, so sensitive in contact with the cold floor. It is well known that feet are among the most exposed to cold areas, so we need to consider their comfort and warmth. Ignoring this aspect may have unpleasant consequences on our health, so we recommend wearing warm slippers. 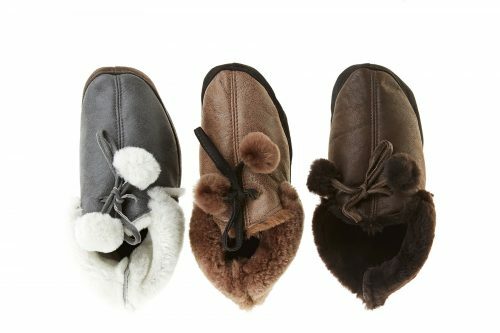 At A&A Vesa you will find comfortable slippers, made out of nappa leather on the exterior and the interior is made with trimmed lamb fur, fluffy and relaxing that lets your foot breathe and ensures insulation against cold. A pair of slippers will help you feel relaxed when you spend time in the house and protect you from the coldness of any surface.